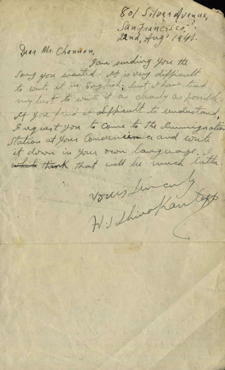 Letter dated August 22, 1941 to Mr. Channon regarding song lyrics he had requested. The sender indicated that it was difficult to write the words in English. 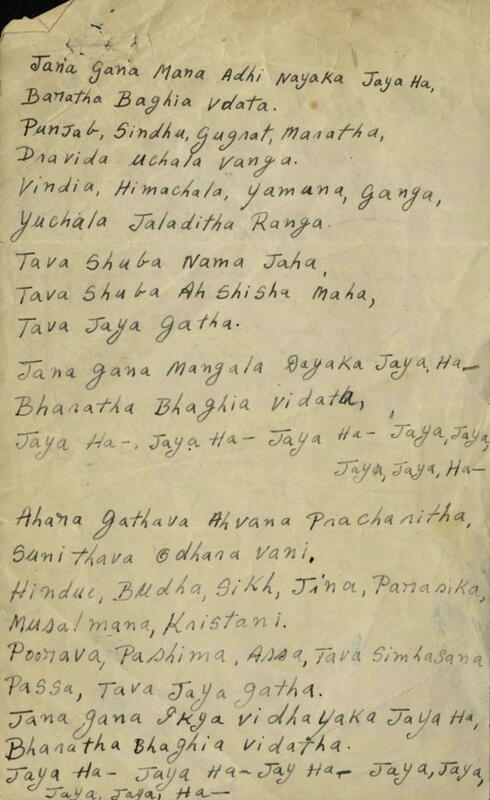 Lyrics on page two.